Comments from Taiwan's mountain & nature specialists. Getting mountain permits sorted out is one of the biggest and most annoying hurdles to overcome before hiking in Taiwan's high mountains. There is a lot of inaccurate and misleading information out there on the subject, some by simple accident, some by those trying to be discouraging or over-cautious. I hope this answers some questions. First thing to know is that anyone, in theory, can get permits regardless of (a) group size (including individuals-though we encourage you not to venture out alone) (b) whether you are Taiwanese or a Foreigner (c) have a guide or not. Permits are for the individuals, dates, and routes listed only...these generally can not be changed once issued. Also there is no such thing as a general season permit etc. A small number of especially sensitive ecological areas are only open to recognized scientific researchers...and Taroko Nat Park has serious misgiving about dealing with foreigners in a normal fashion. There are 2 kinds of permits (1) National Park (入園, ru-yuan), and (2). Police permits (入山, ru-shan). The National Park permits are for entering the respective national park's territory (is that a bit too obvious? ), and the Police permits are for entering any high mountain area. Hiking in the National Parks therefore requires both kinds of permits. Generally, permits are not required for public roads passing through the mountains, and some shorter, easier trails. 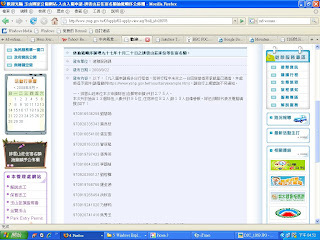 The National Park permits (ru-yuan) are the more difficult and time consuming to obtain. The Police permits (ru-shan), if not not gotten in advance, usually may be applied for on the spot at a police station in the same county or at a checkpoint on the trail - check first. The National Park permit must be applied for at least 7 days in advance (Yushan main route, at least a month in advance. Much earlier is usually impossible too.). The best way to apply is online, unfortunately this is often only possible using Chinese, and the applicant (not necessarily the hikers) must have a valid ROC ID number - passport/ARC numbers may not work. Alternatively sending you details by regular mail or email can work...I won't get into the nitty gritty details now or I'll be writing till the next typhoon comes, just to say it's far from a perfect situation! The standard ascent of Yushan is very, very popular but accommodation at Paiyun Lodge/hut/shelter/cabin (where most hikers will stay) is limited to less than 100 people per night. This means Yushan National Park must operate a lottery system if the number of people applying exceeds spaces available. Chances of a successful application are much better by avoiding the the busy weekends, especially Saturday night. On weekdays there is a quota of places left aside for foreign (remember this includes Japanese and Korean) hikers. Yushan Nat. Park announces the Paiyun lottery result a month before the dates applied for. The screen shot below (click on for a larger image) shows the results, released September 25, for October 25 - a Saturday. 1,768 people applied for the 82 places - do the math! Leaders of the lucky teams are listed. All fair and open - well if you use Windows IE (one of the many government websites that only work properly when using Microsoft's browser). These are the results for the previous Wednesday. The numbers are better, but still not ideal 275 applied for 82 places. The many typhoons and growing 'fame' of Yushan has put extra pressure on the system. When typhoons are imminent permits are canceled until the storm has passed, the trail/huts are inspected, and any damage patched up. After typhoons many people will be eagerly applying again to make up for their canceled trips. We strongly encourage you to consider other mountains (there are hundreds over 3,000m in Taiwan) instead of Yushan. If you are Taipei-based and have your own transport, think about Snow Mountain (Shei/Shuei/Xue shan) just slightly lower than Yushan but often considered more beautiful. Or Dabajian Mountain, as seen on the NT$500 banknote, and a less retentive route. The permit system, and especially the overlap of the two, is an annoyance to many hikers, Taiwanese and foreign. We hope there will be changes soon but have to accept this is the the best system possible at the moment. The concept of national parks, and longer multi-day hiking is still a fairly new thing here, trails can be very challenging, and arriving tired and cold at a mountain hut to find it full is not a nice experience. Some routes may seem easy to sneak onto without a permit and with minimal worries of being caught and fined, BUT if you require rescue (it can and does happen) you will pay all the costs of the rescuers and their big shiny helicopters - if there illegally. We are happy to apply for permits for you (for a small fee) and to answer your questions. Contact me, Richard, at barkingdeerinfo@gmail.com and hope I am near a computer to reply. Folktales and War God now available.